You can find the updated Indian dramas list with fresh and repeat timings, also you can find the complete cast of the drama serials and tv shows. 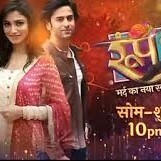 In this category, you can find which Indian drama serial is currently on air on Sony TV, Star Plus, Colors, Zee TV and on other Television channels. You can also find the public opinions and viewer reviews of Indian drama serials and shows here.